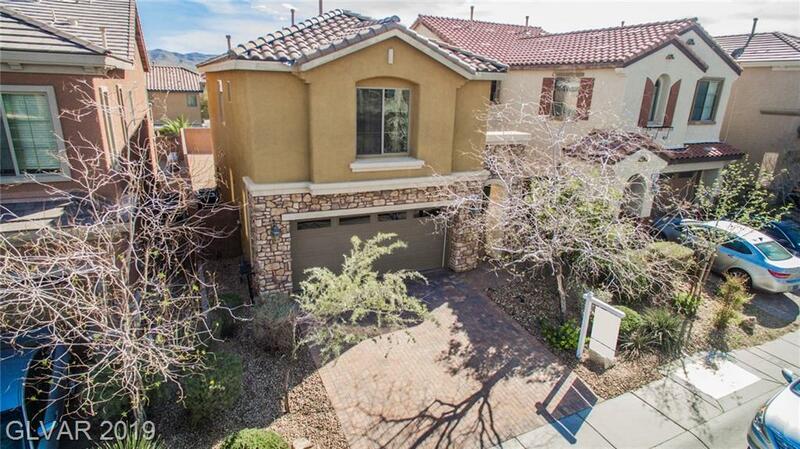 STUNNING 4 BEDROOM HOME IN GATED COMMUNITY OF MOUNTAIN'S EDGE!!! ALL NEW PAINT AND CARPET throughout! GORGEOUS granite counter tops, SS kitchen appliances and kitchen island with breakfast bar! Floor plan includes two bedrooms upstairs, balcony off of the living room and two bedrooms downstairs, each with their own sliding glass door opening into the HUGE backyard with COVERED PATIO! !